Below you fill find all funeral homes and cemeteries in or near Harker Heights. Suburbs of Harker Heights: Harker Hts, Killeen, Maxdale, Youngsport. Harker Heights is also known as: Bell County / Harker Heights city. Zip codes in the city: 76542, 76543, 76548. Bell County funeral flowers can be purchased from one of the local funeral shops we partner with. Harker Heights is a city in Bell County, Texas, United States. As of the 2010 census there were 26,700 people, 9,488 households, and 7,139 families residing in the city, up from a population of 17,308 in 2000. This makes Harker Heights the third largest city in Bell County, after Killeen and Temple. Incorporated in 1960, the city derives its name from one of the two original landowners and founder, Harley Kern.Harker Heights is part of the Killeen–Temple–Fort Hood Metropolitan Statistical Area. It was disclosed on June 28th, 2018 that Terri Kyle (Borgus) passed away in Harker Heights, Texas. Ms. Kyle was 56 years old and was born in Lexington, VA. Send flowers to express your sorrow and honor Terri's life. It was disclosed on May 24th, 2017 that Henry L Sr "Hank" Baxter passed away in Harker Heights, Texas. Baxter was 84 years old and was born in New Castle, PA. Send flowers to share your condolences and honor Henry L Sr "Hank"'s life. It was noted by Waterloo/Cedar Falls Courier on October 26th, 2016 that Bradley D Master Sgt Jones passed on in Harker Heights, Texas. Jones was 45 years old. Send flowers to share your condolences and honor Bradley D Master Sgt's life. It was written on August 17th, 2016 that Gerald Alan Nilsen passed on in Harker Heights, Texas. Nilsen was 72 years old and was born in Oak Park, IL. Send flowers to share your condolences and honor Gerald Alan's life. It was written on November 22nd, 2013 that Earnestine Johnson (Garner) perished in Harker Heights, Texas. Ms. Johnson was 80 years old and was born in Patterson, AR. Send flowers to share your condolences and honor Earnestine's life. It was noted on September 18th, 2013 that William Jerry Jr Tait passed on in Harker Heights, Texas. Tait was 56 years old. Send flowers to share your condolences and honor William Jerry Jr's life. It was noted on February 11th, 2013 that Julie Marie Farnsworth (Horn) perished in Harker Heights, Texas. Ms. Farnsworth was 32 years old and was born in Las Cruces, NM. Send flowers to express your sorrow and honor Julie Marie's life. It was revealed by Austin American Statesman on January 19th, 2013 that Judith Fye-Wright died in Harker Heights, Texas. Fye-Wright was 66 years old and was born in Fort Benning, GA. Send flowers to express your sympathy and honor Judith's life. It was written by Wise County Messenger on July 21st, 2012 that Edith Estelle Baker (Stephens) passed away in Harker Heights, Texas. Ms. Baker was 91 years old. Send flowers to share your condolences and honor Edith Estelle's life. It was reported on July 20th, 2012 that Betty J Melton passed away in Harker Heights, Texas. Melton was 86 years old. Send flowers to express your sorrow and honor Betty J's life. The only major expansion of the town occurred in December, 1988, when the city annexed the Comanche Hills Utility District, adding 3,500 people to the town population. Harker Heights is a city in Bell County, Texas County, Texas, United States. It is the first up-scale shopping center in the area and includes a 16 screen movie theater. Following a petition for an incorporation election, the town was established on September 24, 1960 and Cox was elected mayor. 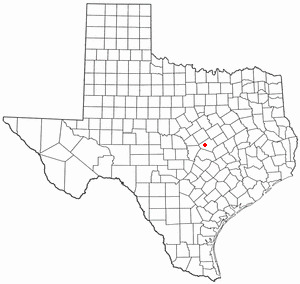 As the base grew, the nearby town of Killeen, Texas also grew. 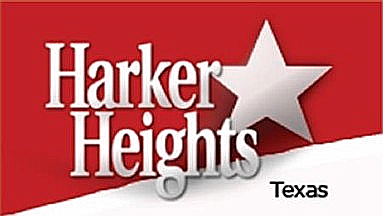 The official website for the city of Harker Heights is http://www.ci.harker-heights.tx.us/. In lieu of flowers, memorials may be made to the Harker Heights Pet Adoption Center, c/o Harker Heights Police Department, 402 Indian Trail, Harker Heights TX 76548. Visitation is 6-8 p.m. Friday at the Crawford-Bowers Funeral Home in Killeen. Survivors include two daughters, Diane Martinez (friend, Ken Conger) of Killeen, Texas, and Nancy (Tim) Dolato of La Crosse; one son, James (Luz) Chambers of Harker Heights ... Fredrickson Funeral Home-Woodruff Chapel, 4239 Mormon Coulee Road, La Crosse. Heritage Funeral Home, Harker Heights, TX : Reviews and maps - Yahoo! Local, 254.690.9119. Get Ratings, Reviews, Photos and more on Yahoo! Local. Find a map, directions and more for Heritage Funeral Home in Harker Heights, TX. Find a Funeral Home inHarker Heights, Texas TX to provide the caring burial and ceremonial services your family deserves. Steptore, Charlene - Heritage Funeral Home, Harker Heights, TX : Reviews and maps - Yahoo! Local, 254.690.9119. Get Ratings, Reviews, Photos and more on Yahoo! Local. We work with local florists and flower shops to offer same day delivery. You will find budget sympathy flowers in Harker Heights here. Our funeral flowers are cheap in price but not in value.